Learn the essential skills you need to succeed on the court with our basketball club in Oakville, Ontario. We offer a youth basketball training programs for all ages. Our team is dedicated to helping young athletes develop in a team environment. There are various camps and leagues available for to help athletes of all skill levels. Our camp provides a variety of after-school activities for children to learn from. Learn more about our after-school program and schedule down below. Each Day will focus on the development of Basketball skills in a competitive environment. The fundamental skills of passing, shooting and dribbling are learned at our youth basketball camp. 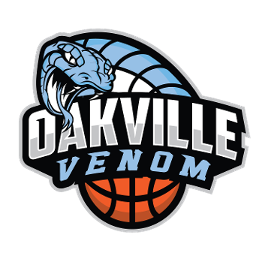 Learn finishing moves, how to play without the basketball, along with the proper footwork, rebounding and shooting skills will be reinforced through drills and scrimmage play. Open for anyone who is up for challenge. Ages 5-18. At a very early age, players learn the basic fundamentals of the game of Basketball in a fun environment. Through fun games and interaction with others, our basketball club introduces young athletes to passing, shooting, and dribbling skill development. Players scrimmage with little emphasis given to the rules of the game (traveling, double-dribbling, etc.). Get ready for REP Season this Winter! This program couples physical development with high-level basketball-specific skill development. The objective is to build athletic capacity, to add and refine fundamental as well as advanced basketball skills. Athletes are challenged to work hard in order to achieve their individual goals (of personal development). The program is geared towards REP Players/Athletes aspiring to play REP/try out school team. It will be intense. It will be demand hard work and dedication. It is the program need to elevate/enhance your game. ALL GROUPS (A, B and C) WILL PRACTICE: once a week until school is done in June. Thereafter, group will practice two times a week. Time & locations subject to change. 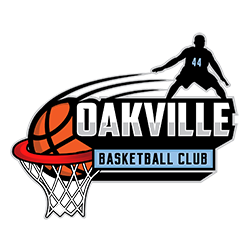 This league is for athletes who want to learn basketball skills in a fun environment. Our Summer House League provides a fun and exciting experience while teaching the fundamentals of passing, shooting and ball handling. Games will be played on Saturdays with a 30 minute skill development session preceding games. League is open to anyone who wants to learn the game and have FUN! Players receive a reversible pinny & awards at the end of the season.Confirmation Email will be sent after program registration. Second email will be sent one week prior to program date. Refunds will be granted when refund/withdrawal request is made up to 14 business days prior to the start date of the program/league. An administrative fee of $25 will be deducted. Refunds will not be issued when refund/withdrawal request is made on or after the start date of the program/league. To build an enriching setting for youth, using basketball as a vehicle to inspire them to fulfill their academic, physical, and personal potential.